Our state-of-the-art equipment cleans deep! Carpet Repair- We replaced the damage section of carpet with new carpet. Now it looks great! Our "Restorative Cleaning" process brings thrashed carpets back to life! We can remove stubborn stains like this ink stain! Moving out? We can help! We clean commercial carpeting as well! We use air movers while we clean for a faster dry time! Our carpet and upholstery cleaning process is safe for kids and pets. We make sure your walls and furniture are protected! This couch is cleaning up nicely! 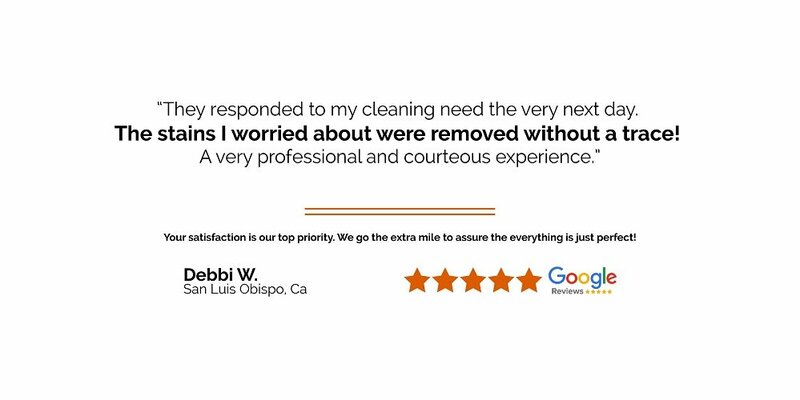 We have been cleaning the carpets of the homes and businesses in San Luis Obispo since 1967!